A Georgia police captain is accused of using his uniform to walk around the Patriots' hotel when they were in Atlanta for Super Bowl LIII. A Georgia police officer is under investigation after allegedly using his uniform to gain access to the New England Patriots' hotel before Super Bowl LIII. DeKalb County Police Capt. Curtis Williams, who police said is a Patriots fan, is accused of going to the Hyatt Regency Hotel in downtown Atlanta while in uniform when the team was staying there in an effort to meet players and coaches. According to an investigative report from the Dekalb County Police Internal Affairs Unit, Williams was not assigned to work a security detail at the hotel and did not have credentials. Williams allegedly brought his fiancée to the hotel, and showed her the parking deck where he found two vehicles identified as being "reserved for Tom Brady." The investigative report said he used his phone to take photographs of those vehicles. Before the Patriots were scheduled to arrive at the airport, Williams allegedly went into a restricted area outside the hotel. While there were no physical barriers, police were blocking the area off to civilians and media. Police said Williams took a video on his phone showing players exiting their bus. When the players and coaches went into the hotel, police said Williams entered with the security detail, helping an officer secure the door. 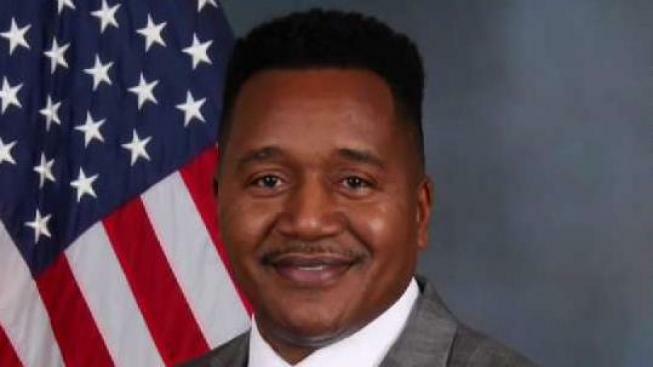 Williams denied to his department that he was ever removed or asked to leave, saying that no one tried to stop him from walking anywhere in the area. It's unclear if Williams faces disciplinary measures as a result of the investigation.